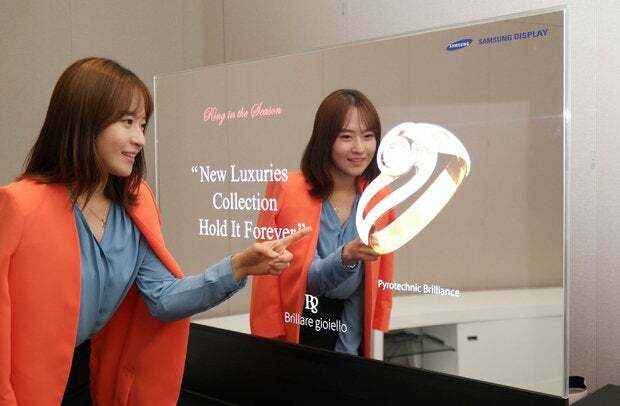 Samsung has developed a big-screen OLED (organic light emitting diode) screen that’s transparent, and plans to show it at this week’s IFA consumer electronics expo in Berlin. The screen, which is intended for use in shops and not on consumer TVs, measures 55 inches across. 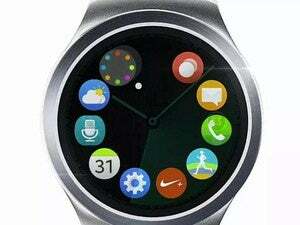 It will be shown alongside a second version that features a mirrored back and is also intended for retail use. OLED screens offer bright, vibrant colors that are the result of a reaction of organic material within each pixel. That’s a big difference from LCDs (liquid crystal displays) which require a backlight behind each screen. The lack of this backlight has enabled Samsung to make the transparent and mirrored screens. 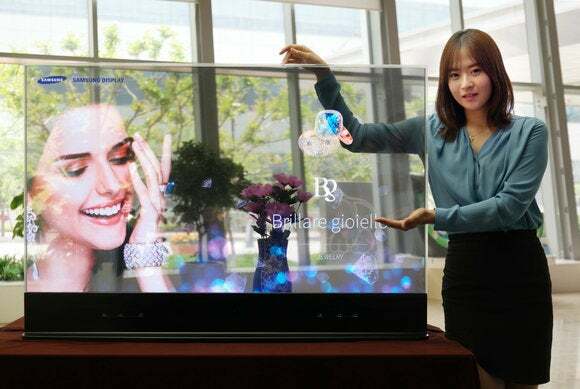 TV makers have been promoting OLED screens as a replacement for LCD panels in televisions for the past several years. People who see OLEDs are usually left in no doubt that they deliver a superior picture over LCDs. While their price has always been much higher, the cost of OLEDs is dropping. Also at this year’s IFA, LG Electronics will show off an expanded range of OLED televisions. They will include 65- and 55-inch models with 4K resolution and a high dynamic range technology that is meant to produce better images. LG will also have a curved 55-inch OLED TV.